I love the Changito monkeys from Stampendous, and was very fortunate to receive these three images from my friends at Eclectic Paperie. (Thanks Daisy & Joy!!) I used my Figgy papers from BasicGrey on the first two samples, and Men of Life from PaperTrey Ink for the last. These were a lot of fun to color, and I used my Copic markers to do it. My second card used the CPS sketch #5. Thanks for stopping by today, and I hope you have a wonderful weekend!! Awwwww, these guys ARE soooo cute!!! Love your coloring too! Rose Ann, these are all adorable! I just LOVE Changito! I LOVE what you've done with them. . .I'll have to get mine out again! OMG Rose Ann I love that monkey so much, and you have rocked him. TFS. I LOVE these guys too! Your cards are all wonderful!! Hope you have a wonderful weekend too! Those monkeys are adorable! I love all three cards!! Sure to make ANYONE smile!! These are all fabulous Rose Ann. You really put that cute little monkey to work!!! Oh my! They are ADORABLE Rose Ann!! Oh these are so cute! I especially love the little guy peeking out of the fireplace! Great dp! Oh MYLAAAANTA!!! Bless your little hearth?! Too kaaa-YUTE! 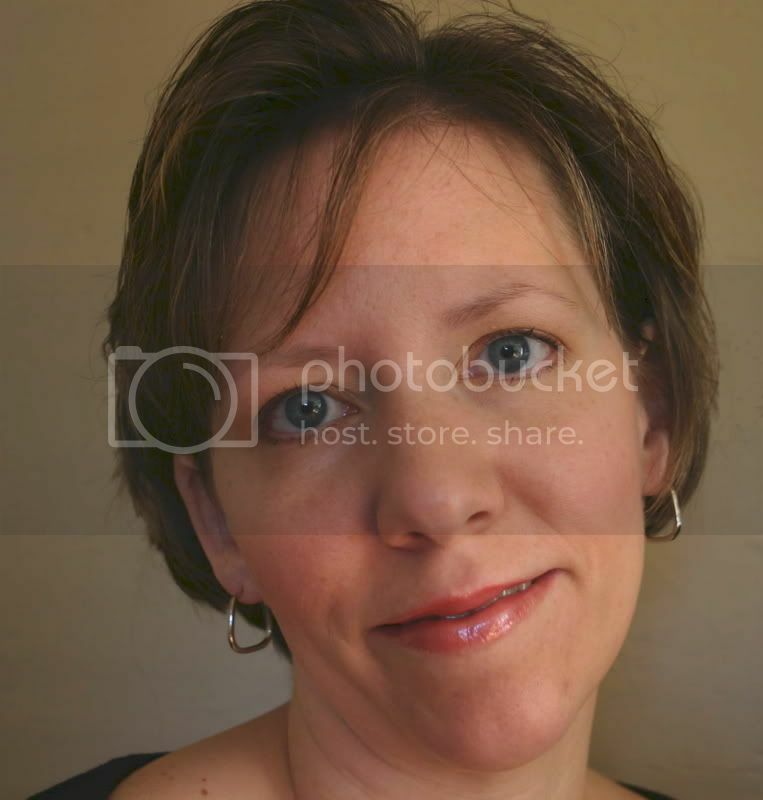 Love all of these, Rose Ann! So darling! cute love all the monkeys. love the hearth card. OMG! Rose Ann, they're all adorable. You're such an enabler...LOL! Hi my blogging friend. I must say thank you for leaving comments on my blog. It really brightens my day. I have nominted you for an award. Check out my blog for the details. These are just adorable Rose Ann...so cute and FUN...great accents too! What super cute cards, Rose Ann! Such adorable images! Love your papers and coloring is great, as usual! Have a great weekend! 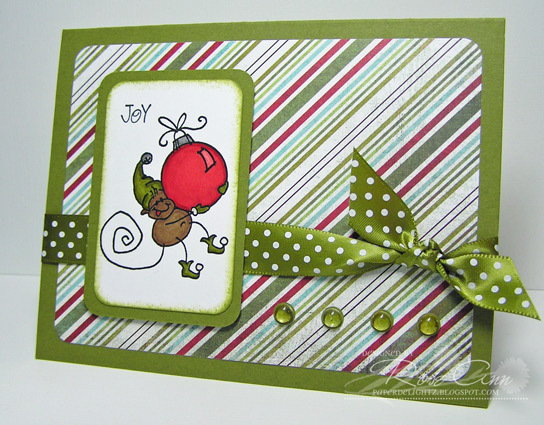 OMG, Rose Anne...I just love all of your adorable cards...the Changito images are all sooo cute...who woulda thought that a monkey could make such a darling Chirstmas image!!! Love all the beautiful colors and papers, too!!! Fabulous as always, my friend!! If I just had an ounce of your talent...you are a genius! akkk...so cute. I love those little monkeys too! What cute images--never saw the fire place one---love it and your card!!!!! All your cards are so cute Rose Ann. I just love the festive dp you used and those images are just too sweet! Oh, I absolutely LOVE what you did with the changitos! I think my favorite is the "hearth" card. But they are all adorable. I love Changito. And these are all totally sweet. OMGoodness, these little monkeys are adorable, Rose Ann, and so are your cards! Love the punches you've used! These are AWESOME Rose Ann! AWESOME! These cards are too cute !! Love this monkey !! 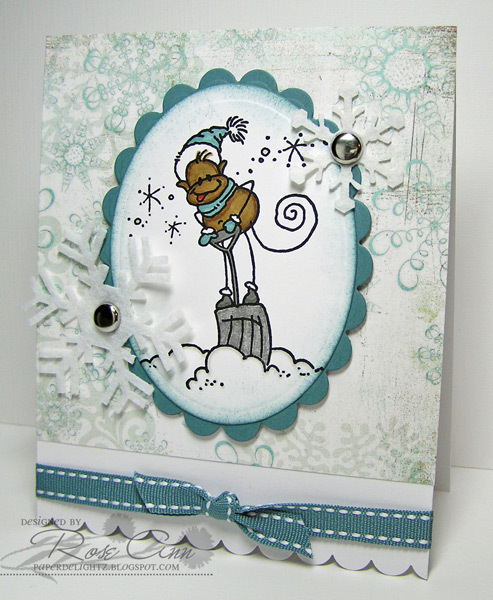 fabulous cards, I so love these cute monkeys and adore what you did with them! Each one is just darling Rose Ann!! Love the colors, the ribbons, and your fab coloring!! These are simply precious! I have no Changitos, but these are just darling ... especially with your Rose Ann touch! How adorable! These have got to be the cutest little monkeys I've ever seen!!! I love them all, but I think the Santa monkey coming down the chimney is just the cutest ever! These are just way too cute, Rose Ann! I especially love the "hearth" one. Just adorable!! these are so stinkin' cute! next year I may have to get me some Christmas Changito, he always makes me smile. love the branch punch on the bottom card for your handmade holly! Wow, these are cute--tee hee! I LOVE them! Thanks for the smiles, Rose Ann! !